In an interview to chat about his new solo project, The Killers' co-founder and drummer Ronnie Vannucci revealed that the Vegas four will return to the studio in the next few weeks to get musically reaquainted and write new music. But it's yet to be seen when new Killers music will see the light of day. Brandon Flowers is still gigging his solo material, and Vannucci is promoting his new Big Talk side project. When The Killers came off the road in February 2010, after pretty much nine years of back-to-back albums and touring, the idea was for everyone to take time off. Singer Brandon Flowers quickly got bored – he released his solo album "Flamingo" late last summer. After three weeks off, Vannucci, too, was restless, and saw the opportunity to get out there with his own thing, to bring his own ideas, his own voice front-and-centre for the first time. 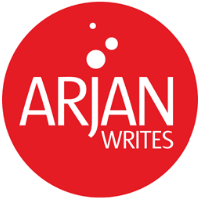 "I needed to do this," Vannucci tells ArjanWrites.com. "It's such a departure from what I'm used to, but now, having done it, it feels like the right thing to do. It all feels very natural. I can't sit on a couch very long!" He recruited his old friend Taylor Milne and together they formed Big Talk to start cranking out some "rock club-shaped" tracks for a full-length "Big Talk" album. They recorded the LP at The Killers’ Battle Born studios in Las Vegas between November 2010 and January 2011 with help from producer Joe Chicarelli (The Strokes, My Morning Jacket). The effort was mixed at London’s Assault & Battery with Alan Moulder (U2, The Killers, Foo Fighters). Listen to Big Talk's first single, titled "Getaways," in the player below. Definitely a rockier sound that features Vannucci on vocals. Big Talk's self-titled album will be released on July 11.
check out The Killers blazing performance of "When You Were Young" that is taken from the group's upcoming live DVD/CD set. This track always is a crowd favorite and shows. I ordered my copy last week. Can't wait to see the entire set. Check out some gorgeous live performances the group recorded at London's famed Abbey Road Studios that aired in the U.K. this weekend. When the Vegas Four visited the Abbey Road Studios two years ago, Brandon Flowers was not feeling all that fresh with a fever, but he still managed to pull off a major new version of "When You Were Young." Such a trooper. This time around, B-Flo is looking fresher than ever and kicks it off with a string-heavy version of "Human," followed by reworked version of "A Dustland Fairytale" and "Read My Mind" (after the jump). Listen to NEW Killers "A White Demon Love Song"
Taken from the upcoming New Moon soundtrack. Sounds like a "Sam's Town" left-over. I need to let this one grow on me. Check out the official trailer for The Killers' upcoming concert DVD/CD that was recorded at London's famed Royal Albert Hall earlier this year. "Live From The Royal Albert Hall" (view album artwork) will feature live cuts from all of their three albums, "Hot Fuss," "Sam’s Town" and the amazing "Day & Age." This DVD package also includes the band’s first and only live CD with 80 minutes of live performance, as well as a behind-the-scenes documentary. Can't wait! From the trailer, it looks like the DVD will perfectly capture the group's energy on stage. Look out for the DVD on November 10th. Pre-order your copy today.